Once a banker, he is a successful foodpreneur today. His banking expeditions had taken him to far-off nations. Tasting varieties of cuisines off-shore, he discovered that Kashmir traditional cuisine wasn’t adequately available. His discovery led him to the entrepreneurial world. Meet Nasir Andrabi - the banker who quit his promising banking career for entrepreneurship. 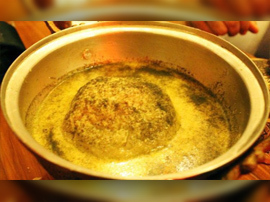 Andrabi plans to take Kashmiri cuisine to the world. The fact that Wazwan - a traditional Kashmiri cuisine wasn’t adequately available made me sad. 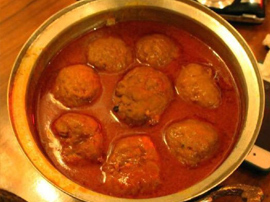 Wazwan is a Kashmiri cuisine and is a marker of our Kashmiri identity. “Starting off in 2014, I had invested around 50 lakhs. We received an overwhelming response from the foodies. Their positive approach motivated us to supply in various weddings. On a global scale, we opened an outlet in Dubai and are wishing to expand soon." Beginning at an investment of 50 lakhs in 2014, Khyen Cheyen saw a turn-over of 2.5-3 crore in the last fiscal year. Andrabi advises fellows to take the plunge into this huge ocean of entrepreneurship. “Create a unique entrepreneurial culture that would speak for yourself and your venture.”- he says before signing off. Do you know of a similar foodpreneur who serves cuisines in the traditional way? We would love to feature them on our platform.